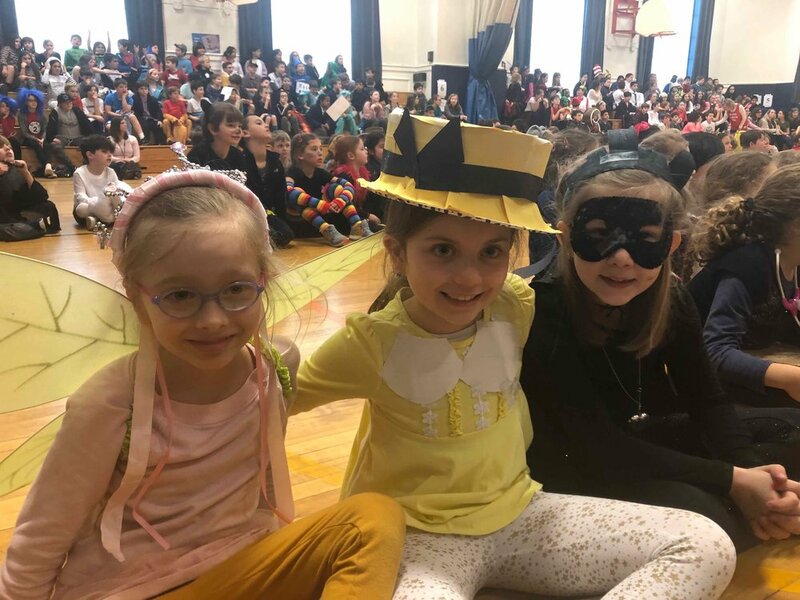 KES was buzzing with excitement on Character Day! To mark the end the month long PARP (Pick A Reading Partner) celebrations, our creative kids transformed themselves into a wide variety of characters from their favorite stories. Character Day is a fun way to celebrate the joys of reading by bringing stories to life. The students attended their monthly sharing assembly in costume and they were all smiles checking out each others costumes. Principal Harris and many of our KES teachers also celebrated by dressing in costumes for the day. Thank you so much to all of our administrators and teachers for generating such enthusiasm and positive energy by celebrating reading with our children.